2 cups comfort, 1 cup protection, and a pinch of style is the recipe that makes up this Ariat Work FR Polartec Baselayer 10014893 Men's Light Grey Lightweight Shirt. Okay, maybe you’re not good with recipes, but you'll appreciate this Ariat shirt’s ingredients ... (see full details) (see specifications) #10014893. 2 cups comfort, 1 cup protection, and a pinch of style is the recipe that makes up this Ariat Work FR Polartec Baselayer 10014893 Men's Light Grey Lightweight Shirt. Okay, maybe you’re not good with recipes, but you'll appreciate this Ariat shirt’s ingredients once you wear it! The soft, yet durable fit and feel is designed to keep you comfortable on and off the job. The athletic build design allows you to move with ease while the fire-resistant protective features are built-in to increase job site safety. Really, you can’t go wrong with a men's FR shirt as great as this one. When it comes to your personal safety, you want the best kind of protection. The permanent flame-resistant fabric ensures high quality protection against dangers in the your workplace. This lightweight flame-resistant shirt is rated CAT 1 and has an Arc rating of 5.0 calories/cm^2 ATPV (Arc Thermal Protection Value) that will help protect you in those environments where electrical arc flash safety is a concern. 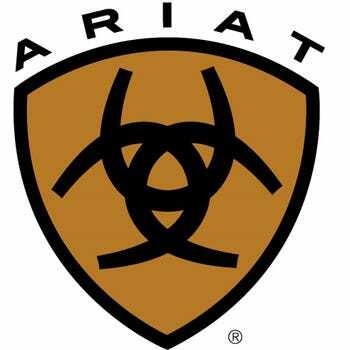 This Ariat FR shirt also meets NFPA 70E and NFPA 2112 safety standards. This base layer shirt combines durable fabrics with a variety of dependable properties that will increase your performance on and off the job. The patented bi-component build creates a comfortable base layer that works paired with more clothing or all on its own. Made with 5.2 ounces of lightweight FR kit 72% modacrylic and 28% rayon fabric, this Polartec light grey shirt is built for superior comfort and protection. This fabric is very breathable and will allow you to stay feeling your best all day long. The inside of the flame-resistant work shirt has a ultra-soft inner surface that will feel extremely comfortable against your skin. Do you get extremely sweaty, and smelly half way through the long work day? You constantly wipe away moisture and try to stay cool, but nothing seems to help. That’s because you aren’t wearing this moisture-wicking lightweight Ariat shirt. This garment is built with Polartec® Power Dry® FR technologies and moisture management technologies. Polartec® Power Dry® FR fabric stays dry against your skin by pulling 30% more moisture away from the body and spreading it to the outside of the FR men's shirt for quicker evaporation. The moisture management technology aids in pulling moisture out of the Ariat workwear for drier comfort. You'll truly feel like a new (less-sweaty) person! If you like to move with an ease of comfort, you'll love this men’s base layer shirt. This lightweight FR workwear is made with Ariat’s Greater Arm Mobility (GAM) technology that ensures you can move your arms with in a full range of motion. You won’t feel like you can’t bust a move or swing a hammer when you wear this men's workwear. The extended inseam construction allows for more freedom and ensures the cuffs don't move up and that the shirt tail stay tucks in more often than not. The taped inside back inseam offers a better fit and eliminates neck irritation. This long-sleeve Ariat shirt is a true beaut. The crew neck design is trendy and will fit nicely on your body. The lightweight light grey colored fabric with contrast stitching creates an innovative look that's sure to get you style points from your co-workers. The recipe that make up this Ariat Work FR Polartec Baselayer 10014893 Men's Light Grey Lightweight Flame-Resistant Shirt from Working Person's Store is not something you want to miss out on trying. Get yours ordered today! This is a great undershirt that is warm and comfortable. I really like the fact that it is a fire resistant shirt and meets every requirement by OSHA and my warehouse. It will last for a good amount time between washing and drying. I am going on my third year and still no issues so I highly recommend it. This is a great top to wear for those that need long sleeve protection and flame resistant material. I like the color because I think I look better in light colors and it doesn't show sweat and dirt that bad. The top is true to size because I wear a medium and it is spot on for my size. Great product. Ariat makes some of the best FR gear. This shirt is perfect for the summer months when working outside. Very breathable, and it keeps me cool. The light color is good, its not too dark so that the sun heats it up. This is a great shirt for people who have to wear Fire Resistant long sleeve clothes for work. Great light weight shirt. The color is light enough that it's not holding the heat but dark enough that you can't see every bit of dust and dirt you get into. The Ariat FR shirt runs a little small and does shrink so I would order 1 size larger because I can not throw this in the dryer. Over all this is a nice comfortable tee. Ariat Work FR Shirts: FR Polartec Baselayer 10014893 Men's Light Grey Lightweight Shirt is being added to your cart.